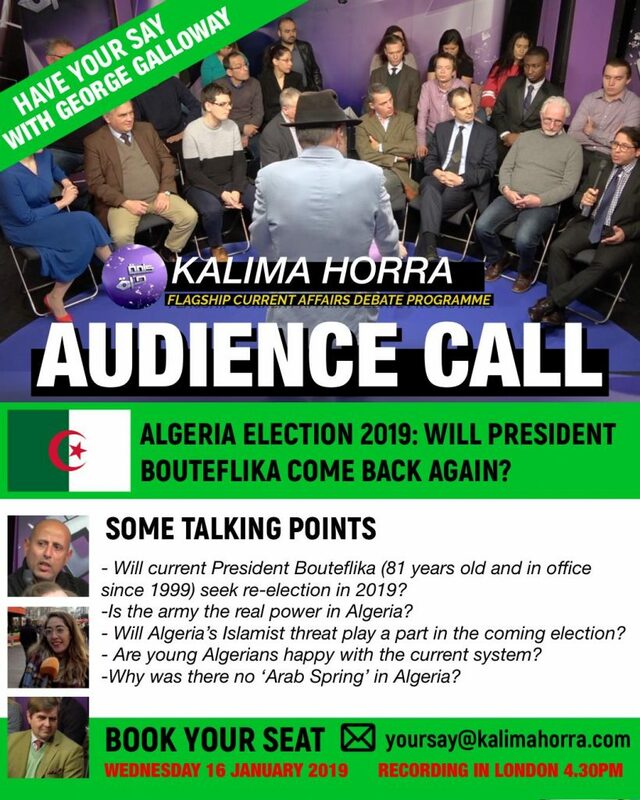 The topic: Algerian election: Will Bouteflika seek re-election again? 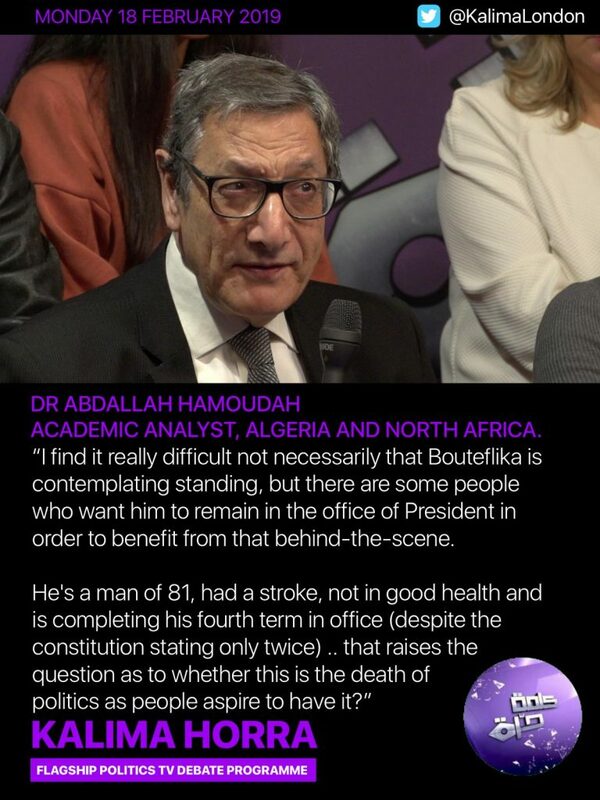 Will the current President Bouteflika seek re-election in 2019? Why has the International Crisis Group warned of ‘socio-economic shock’ and ‘instability’ for Algeria? 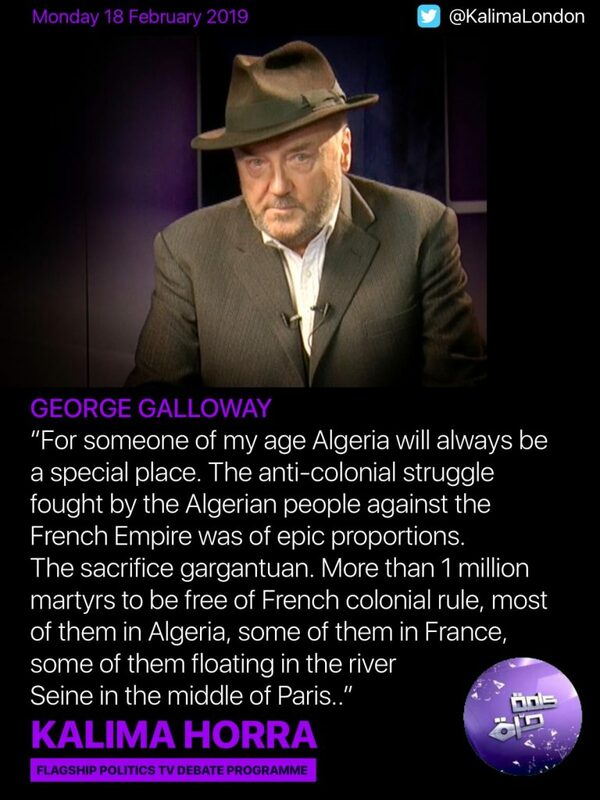 Will Islamism in Algeria play any role in the upcoming elections? 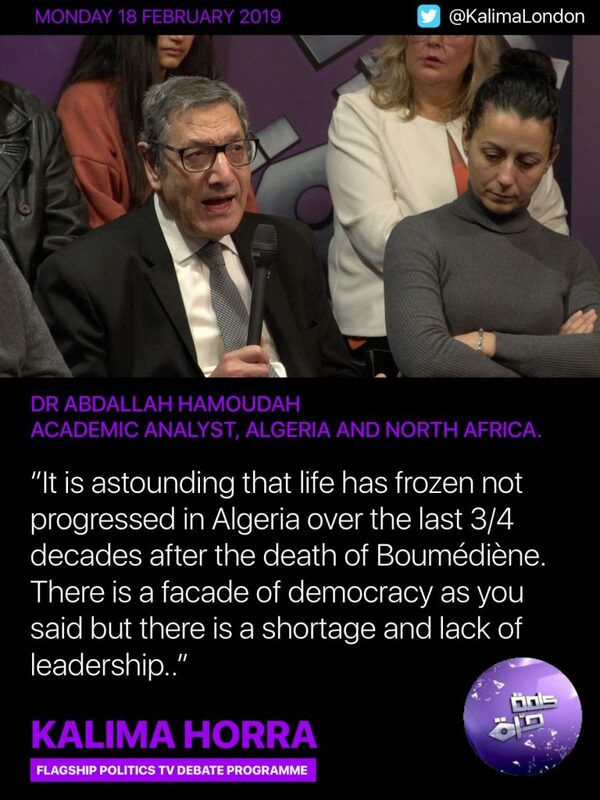 Are the new generation of Algerians happy with the current system? Venezuela ‘Guaido Coup’; a new US model for regime change?